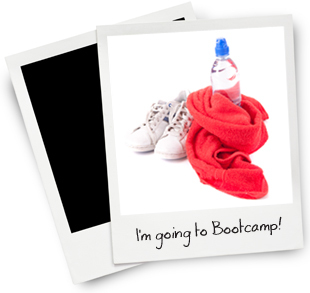 Pure Bootcamp isn’t your average exercise class! Our sessions based in Peterborough are unique, challenging, and never boring. We combine all the expertise and benefits of 1:1 personal training, with the camaraderie and motivation of exercising as part of group. Not ‘going it alone’ can really help when it comes to staying motivated to achieve your fitness goals. The group dynamic will have you truly trying your best, which means you’ll get more out of the experience, and get fitter faster. The group setting makes it fun, motivating, challenging AND keeps the cost of the programme affordable. Choose from 2 or 3 sessions a week. Nutritional advise and a healthy eating plan are provided to help you lose weight. Body measurements are taken at the start and end of the month to track your progress and see how far you’ve come. Serious about losing weight? Then why not sign up for our '28-Day Drop A Dress Size Challenge'.